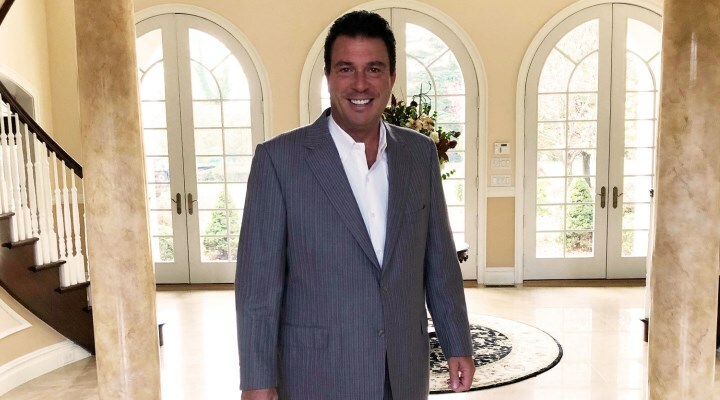 Gregory Englesbe based in the Philadelphia area, built his business as an investment banker in the residential mortgage field by following his dream of helping people become homeowners. He demonstrates his constant determination for success through hard work and only accepting positive responses from people as key to business strategy. It took him three years to build the business he wanted and says his most satisfying moment in business was seeing his first year in the black. He knows the importance of solid business ethics and is a member of the Ethics Board of the New Jersey Department of Banking and Insurance. As a business leader, he stresses the importance of building technology platforms to reduce risk and increase productivity. Gregory Englesbe is known in the business world as a respectful and thoughtful person. He lives and works in Cherry Hill, New Jersey and is a graduate of Ryder University. Gregory got his start in business by answering an ad in his early 20s. His rise as a leader in the mortgage banking industry has been a reflection of his drive as a successful financial executive. Gregory has a great deal of experience as an investment banker and regularly gives back to others to make a positive mark on the world. From financial donations to physical donations and volunteer efforts, his involvement has made a direct impact on multiple local and national causes. Gregory Englesbe uses the Raving Fans by Ken Blanchard as his reference for success in life and business as he believes that “Just Satisfied” is not enough. If you really care about your business and its success, you have to create Raving Fans of each and every person you encounter in business. Address any issues before they become problems and win through client satisfaction actions, not argument. The business community around Gregory Englesbe is important to him and he actively supports it through charitable contributions, Gregory is constantly building relationships by spotlighting the achievements of other company leaders in various areas. Gregory has a keen business sense developed in his 23 years in the residential mortgage business and stays sharp by regularly exercising both his mind and his body. How did you get started in this business? What inspired you? At the heart of everything I do is a desire to help others become homeowners. It’s a fantastic life achievement to own a home but it can be a difficult milestone to achieve for many. Through my business, I hope to give people the resources they need in order to own a home where they can raise a family and be happy. The same drive that got me into the business still holds true to this day! Everyone has doubts occasionally; it would be abnormal to never doubt anything. The key to success is to not let these doubts overcome you. Really think things through and you’ll be able to realize that, most of the time, your doubts and your worries are just in your head. Be confident in yourself and your skills and let your results speak for themselves. I’m a strong believer in the idea that if you do your best work and you help others to succeed unselfishly, you will attract customers. People can sense genuine emotion and genuine care in the services they receive. Since day one, I’ve openly cared about people and it’s helped me grow my customer base. Don’t underestimate your customers! They can tell when something is real and when it isn’t and will choose those who have their best interests in mind. Social media is an incredible tool that has helped to drum up business. Everyone is on Facebook now, literally billions of people. If you’re not using social media to attract new customers you’re not doing things right and you’ll fall behind. To be successful in business you can’t be afraid of new trends and technology. Embrace technology because there are so many ways to make it work for you. I care about people. It may sound basic, but caring is at the heart of everything that we do, as people. Outside of work I regularly give to charity and try to better the lives of others. There are always those who are not as well-off as you are and it’s important to help them when you can. We’re all in this together. I have satisfying moments every day at work. I help people attain their dream homes. In terms of my business, my first year in the black was incredibly satisfying. As a business owner pour your heart and soul into your business, so when it finally becomes profitable it’s a feeling like no other. There’s always room for improvement and growth. Both in terms of my business life and my personal life I plan to keep growing and changing and achieving new things. I always try to stay up to date with all the technological trends. I just got the latest iPhone and it’s been great in terms of organizing appointments and doing research when I’m not at my desk.